The rentals of Vantage in Jersey City—not to be confused with the Murray Hill building of the same name—soft launched in late July, and now the 448 apartments are officially up for grabs. And with the announcement comes first photographs from inside the Liberty North Harbor building. 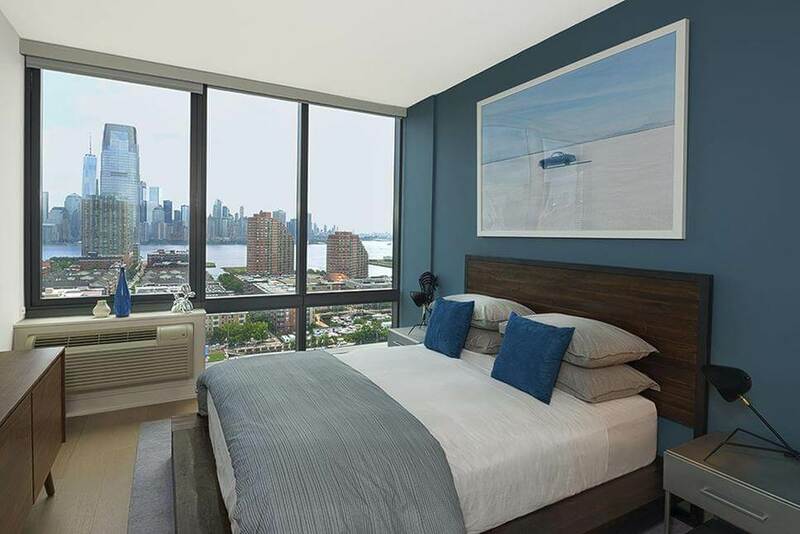 The 45-story rental was developed by Fisher Development Associates designed by S9 Architecture with studio, one-, and two-bedroom rentals with floor-to-ceiling windows overlooking the Manhattan skyline—one of the biggest benefits to living on the other side of the Hudson River. Renters have started moving into the building, where apartments come with floor-to-ceiling windows, nine-foot ceilings, wood floors, recessed LED lighting, and in-apartment washer and dryer units. The building’s amenities are also now complete, and include a gym, kids playroom, screening room, and an amenity deck with a swimming pool and basketball court.